As we enter the last quarter of this year, there is much to be done to round off 2017 and also much to look forward to. As this latest e-Bulletin issue goes out, the ENAV Committee will be holding its 21st session, to be followed by VTS44 and, in October, by ENG7 and ARM7. The Policy and Legal Advisory Panels will also meet in October and the Secretariat is already busy preparing for the 65th session of the Council in December, when a special event is also planned for Council members to celebrate IALA’s 60th anniversary. In addition, next month’s e-Navigation Underway – North America Conference in St John’s, Newfoundland, Canada is expected to attract a large audience. e-Navigation will also be the focus of a two-day workshop on the Maritime Cloud, which will be held at IALA Headquarters in November, in the context of the EfficienSea2 testbed project. I am also looking forward to hosting a two-day seminar on Arctic Navigation at IALA Headquarters in November. Most importantly, next year’s 19th IALA Conference in Incheon is approaching fast and online registration will open on 1st October. Our Korean hosts are working flat out on the detailed development of the programme, including the Technical Conference. I refer readers for a latest update to the news item in this Bulletin. The Conference will also be an ideal opportunity to showcase the core values of IALA as a credible, dynamic, result-oriented and connecting international technical organization that is fit-for-purpose to meet the never-ending challenges in the field of marine aids to navigation. Every year in spring or early summer the team at the IALA home base in Saint-Germain-en-Laye devotes one full day to discussing matters of particular importance to the Association. The aim is to give the whole team a chance to be together to exchange views and comments and suggest ways ahead. For this year’s ‘IALA Day’, it had been proposed to hold a ‘focus group’ type exercise to formulate the Core Values of IALA. 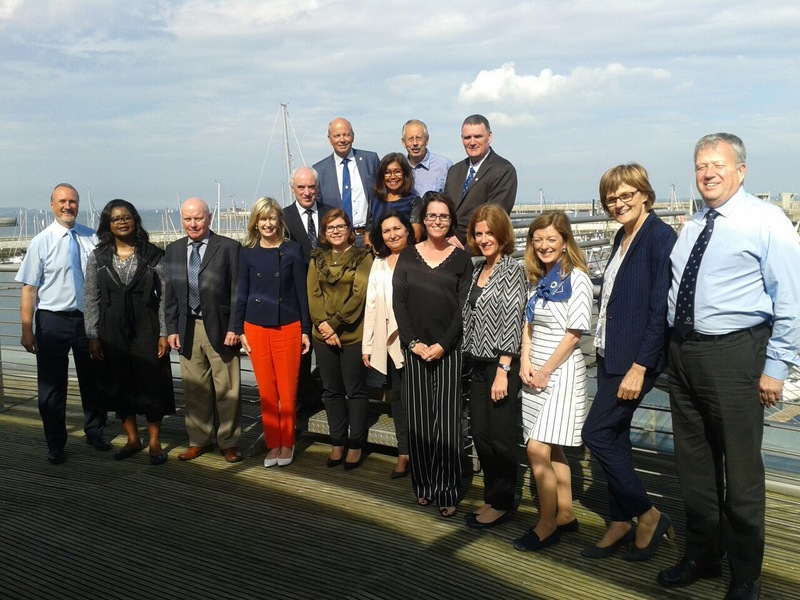 This took the form of a small workshop generously hosted by the Commissioners of Irish Lights at their Headquarters in Dun Laoghaire, Dublin, on 6 July 2017. The lively discussions resulted in four Core Values that express the essence of IALA as an international technical organization which is Credible, Dynamic, Result-Oriented and Connecting. The definitions given for each Core Value are definitions agreed at the workshop by all participants. To be credible means being recognized, respected, trustworthy and reliable. To be dynamic means actively and continuously striving to improve. To be result-oriented means to focus on outcomes rather than processes. To be connecting means to reach out to individuals and organizations in order to share knowledge and experience and to provide support to achieve common goals. Meanwhile, the comprehensive modernisation of the IALA Secretariat’s offices and meeting rooms is complete and already benefiting hard-working staff and Committee delegates alike. On 15th November, Mr Jeon Minsu will take up his position as the new Technical Operations Manager, strengthening the IALA team to continue meeting the needs of all our members and supporting the activities of the World-Wide Academy. The Commissioners of Irish Lights actively participated in the definition of the IALA Core Values. Pictured here with the IALA team are: Yvonne Shields (Chief Executive), Robert McCabe (Director of Operations and Navigation Services), Colin Day (Design and Support Engineer) and Audrey Ryder (Personal Assistant to the Chief Executive).